Thomas Troeger has a great book out that has some wonderful insights for preaching. I like to apply these when teaching on evangelism or preaching to those who do not know Christ. I pray this review can be helpful for you...buy the book if you have an opportunity, a good one to have on the shelf. 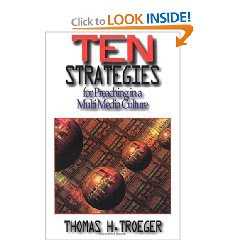 Troeger presents a wonderful text aimed at challenging preachers to be more visual and dramatic when presenting sermons to post-modern culture. The text outlines ten strategies that a communicator may employ to engage culture that is conditioned by mass media. The tone of the book is set by a sailboat analogy. We cannot compel the wind to blow any more than we preachers can conjure up the Holy Spirit to enliven our sermons. Much like good sailors, we can use our skill to get ready for the winds; we can formulate strategies for preaching that points us and our congregations to the Spirit (p7). 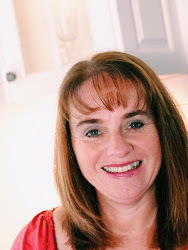 The author presents a compelling case for communicators to consider the multimedia culture and the best ways to communicate to it. The text is not about making preachers more imaginative simply in order to make them more entertaining for a multimedia culture, although to be sure, an imaginative preacher will be much more engaging (p118). The strategies the author refers to are: assuming there is more to the story (looking around the story to imagine what else is going on at the time, p22); creating parables (preaching the biblical text in parables, people are open to engage more in stories, p30); Playing with images (adequate visual stimulation is needed during sermons, p39); Writing the sermon as a movie script (thinking about the angles of shots, fade-ins and fade-outs, what scenes will be spectacle, what scenes will be on a smaller scale, p48); Using flashback (presenting stories as someone’s remembrance of the past, p58); Reframing the sacraments (looking at the sacraments with new perspective, maybe using visual arts to communicate their meanings, p67); Playing a game (simulation games are wonderful to communicate biblical truth, p85); Listening to muffled voices (focusing on the not so obvious characters in the Scripture for their thoughts, p97) and comparing biblical translations (often looking at more than one translation gives a rounder perspective on the text, p106).